Donald John Trump, the Republican Party nominee for President of the United States in the 2016 election, has finally decided to release his 2015 tax return to make it available for public scrutiny. 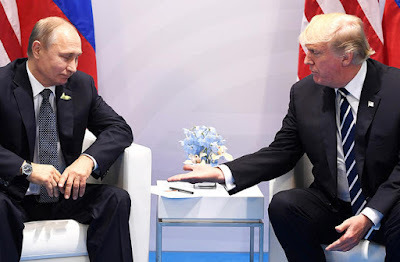 As we know, Mr. Trump was under tremendous pressure to declare his tax returns to clear off all doubts about his actual earnings, his wealth management skills and whether he had obtained or diverted funds illegally, particularly from Russia. 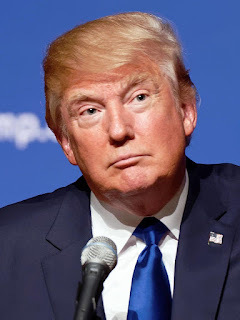 F4Fnews has learned that Trump's own supporters in his campaign team were advising him to declare the information but Trump was not willing to do that giving flimsy reasons such as his returns were under the federal audit and there were chances that any small insignificant detail contained in the disclosed data could be misread and spoil his chances of election as it happened with Mitt Romney in 2011. But after Warren Buffett - who had challenged Trump to declare his tax return - really released his under-audit tax returns last month, Ivanka - Donald Trump's 35-year old daughter from his first wife, had been trying to persuade her father to do the same. It is well-known that Ivanka is Donald’s most trusted and admired family member whom he can't say 'no' for any such vital decision making advice. Our sources have just informed us that finally, Trump has decided to release his tax returns after Ivanka convinced him that this would enhance his rating on the final day of election as media analysts and Hillary Campaign would hardly get any time to read and analyze the 12,000-page returns. F4Fnews sources, who are camping outside the Trump Tower on Fifth Avenue since last two months, have indicated that Donald Trump has agreed to release his tax returns on his website donaldjtrump.com on November 8, 2016 at 2.30 am. It is being speculated that the time of release has been decided after consulting a number of leading astrologers, numerologists and fortune tellers. F4Fnews wishes to make it clear that the information of our NY-based sources, in turn, is based on their close sources who claim to be very close to Ivanka.